Watchdog warns the banks’ sales-focused culture elevates the risk that employees may flout consumer protection rules. 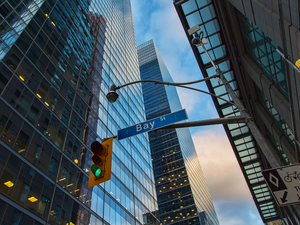 A sharp focus on sales at Canada’s “Big Six” banks may be increasing the risk of “mis-selling” to consumers, according to a much-anticipated review of sales practices by the country’s financial consumer watchdog. The report, released Tuesday by the Financial Consumer Agency of Canada, found that targets and financial incentives had contributed to a culture in retail banking that heavily emphasized sales, and that oversight measures to protect consumers were not sufficient. “This environment increases the potential for mis-selling products and services that may be incompatible with consumer needs and financial situations, as well as breaching market conduct obligations,” said the FCAC, which is responsible for ensuring federally regulated financial institutions follow consumer protection rules. The agency’s review looked at Canada’s six largest banks — Bank of Montreal, Bank of Nova Scotia, Canadian Imperial Bank of Commerce, National Bank of Canada, Royal Bank of Canada and Toronto–Dominion Bank — and was announced last year after media reports alleged questionable sale practices at big Canadian banks and after a fake account scandal struck U.S.-based lender Wells Fargo & Co. However, the FCAC said it’s review did not find widespread “mis-selling,” which was defined as the sale of financial products or services to customers that can be unsuitable, made without taking consumers’ needs into “reasonable” account, or involve incomplete or misleading information. “The six largest banks in Canada co-operated fully with FCAC and we are encouraged that the review found no widespread mis-selling and that banks get this right the vast majority of the time,” said Neil Parmenter, president and chief executive of the Canadian Bankers Association, which represents the big lenders, in a release. But the FCAC did say it is investigating an undisclosed number of alleged violations of legislation, codes of conduct or public commitments that the agency oversees. In the face of the “sharp focus on sales” in retail banking, the FCAC also said it will update its supervision framework, and devote more resources to enforcement and consumer education. Lucie Tedesco, commissioner of the agency, said it created a team this year that will be solely responsible for all investigations and enforcement action. The FCAC’s review was conducted from May 2017 to the end of November 2017, with the agency analyzing more than 4,500 complaints, examining more than 100,000 documents and interviewing more than 400 employees. According to the agency’s findings, banks’ increased focus on sales and advice in their branch and call-centre operations — sharpened by technological advances — have outpaced controls to mitigate the risks of rule-breaking or selling customers products or services they may not really want or need. While employees who don’t hit sales targets aren’t generally fired, they do receive coaching or training, and those who stick around or get promoted “tend to be those who thrive in a workplace culture focused on sales,” the report said. “Some employees informed FCAC that they attribute significant importance to ‘winning,’ defined as closing a big sale or replacing the business of a competitor,” the review said. The FCAC unearthed “numerous instances” of inadequate investigations of consumer complaints as well. This followed a recent report by the Ombudsman for Banking Services and Investments, which can investigate the complaints of customers who weren’t satisfied with the banks’ internal dispute-resolution system, that found its banking-related complaints increased last year. “The FCAC’s central finding from its investigation is that the predominant focus in retail banking is on the selling of products and services rather than appropriately prioritizing the interests of financial consumers,” said Frank Allen, executive director of the Canadian Foundation for the Advancement of Investor Rights, in a press release. Several recommendations were made by the FCAC in the report, such as that banks set up a formal framework to oversee sales practices, that oversight of consumer complaints be improved, and that compensation strategies for employees are geared towards the interests of consumers. Another review of sales practices at domestic systemically important banks is being conducted by the Office of the Superintendent of Financial Institutions, Canada’s federal banking regulator.